Built in 1968 as a Holiday Inn, and in its day was pretty impressive. It's here because it should have a few days left. Further mechanical and safety upgrades may be required, based on on-site visit and inspection, to bring the property into alignment with current standards. Marine Corps Base Camp Lejeune is the dominant economic player in Jacksonville. One of the things I don't like about military towns is that it isn't easy to find people willing to pay more than eighty bucks a night for a room (which is close to the government per diem rate that those guys, or anyone who they bring into town, or anyone working for a government contractor, can be reimbursed by the government for). But you're not going to get much more than that for an exterior corridor property anyway. Even good, solid, Class A operations (the Hamptons, the Holiday Inn Expresses, the Courtyards), that rack a little higher rent a lot of their rooms at that government rate. Still, this one should be coming close. North Marine Boulevard. It's an older area of Jacksonville, but it's on a major north-south artery (U. S. 17 north). It is not the most upscale commercial strip in town, but it is not run down or depressed. If anything, it's resurging. The tracks that used run on the other side of the highway from the property have been removed, and the area on the other side -- which was at one time somewhat industrial and warehouse -- is being redeveloped. New River Shopping Center is close by in that direction. It is not what it was in its day and is presently in somewhat of a depressed and underutilized state, but its location is in a spot where there's no really good excuse for that, and a refresh could occur. Relocation of the Camp Lejeune main gate to an access point off Highway 24 near that location could provide the impetus. There are plenty of restaurants nearby, some within walking distance. Checkers and Waffle House are less than a block away: so is McDonalds if you want to venture across Marine Boulevard. The entire exterior needs a coat of paint. 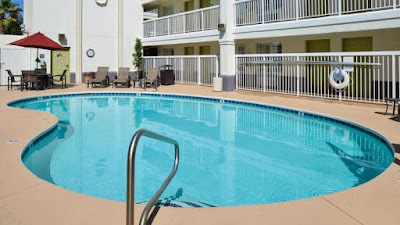 We strongly recommend replacing those opaque railings on the upper walkways with extruded aluminum railings such as you see on the much more attractive rear of the building over the pool. The parking lot is in need of treatment. Both facility design and management, as Beechmont would approach it in this location, will reflect the need to reposition this property as a Class A mid-market property. 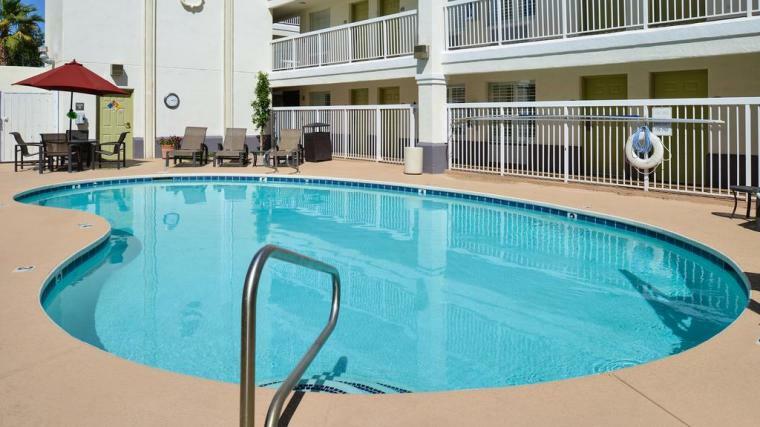 TripAdvisor reviews for this property indicate that both housekeeping and maintenance need to be tightened up, both in terms of investment and commitment on the part of ownership, and in terms of operating practices. TripAdvisor reviews also indicate that security is not the greatest at this location. In addition to fencing, access control, and security cam monitoring of the entire property; we would impose some practices aimed at the property somewhat inhospitable to undesirables. This should not be an economy property. 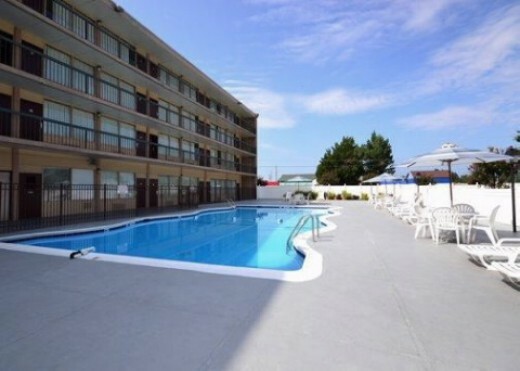 This property has potential as a community fixture that is not shared by other area hotels. 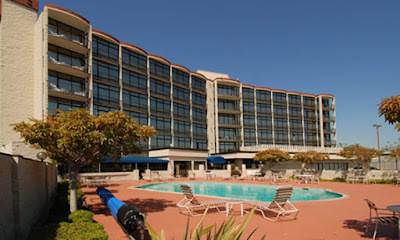 In addition to its central location in an area that isn't bad or run-down, it already has more meeting space than any other hotel in the Jacksonville area, and the former restaurant and lounge space can be converted to make more. This should result in a solid market position: no other hotel, even the more upscale ones, in the Jacksonville area offers this much meeting space; and that would change only if a big-box Marriott or Hilton hotel were to be developed here, hardly likely given the room rates in the area that seem to prevail year after year. Jacksonville -- as well as most other military towns -- does have a strong extended-stay market because of military relocations, and your rate structure should acknowledge this. We would recommend an automatic discount (for loyalty card members) of 12% for a stay of three or more days (four or more days if the stay begins on a Sunday, Monday or Tuesday), and 20% for a stay of seven days or more; if committed and prepaid. Accept with gratitude any benefit you get from the Marines, but other market segments should be developed and cultivated -- everyone in Jacksonville thinks they're going to get rich off the base, but if you're running a hotel, you have thirty other hotels competing for it. Large, institutional demand generators such as Camp Lejeune can be somewhat monolithic and our approach is to identify secondary users -- in the case of a military installation such as Camp Lejeune, government contractors such as Caci, Inc., ManTech International, Honeywell, SAIC and Northrop Grumann, each of which we have noted has a presence at Camp Lejeune. Companies operating in the Jacksonville area include L-3 Communications, American Services Technology, Convergys, Leidos Biomed, NexxLinx, and Stanadyne LLC. Large commercial construction and mechanical contractors that have operations here include S. T. Wooten and SPC Mechanical. This property would reopen following renovations at a rate of $72.00-78.00 per night. 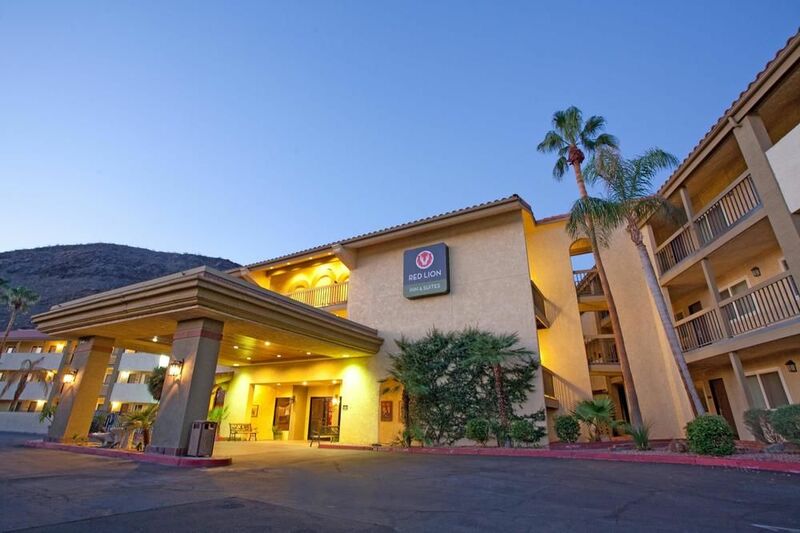 IF WE EXECUTE A HOTEL MANAGEMENT AGREEMENT WITH AN EVENTUAL BUYER, THAT AGREEMENT WILL PROVIDE THAT WE HAVE ACCESS TO ALL BUSINESS RECORDS OF THE PROPERTY PRIOR TO CLOSING. IF THESE INDICATE THAT THE FRANCHISE NOW IN PLACE IS WORKING AND IS BENEFITING THE PROPERTY, WE WILL GENERALLY ADVISE KEEPING IT, SUBJECT TO FIVE-YEAR TERMINATION OPTIONS. 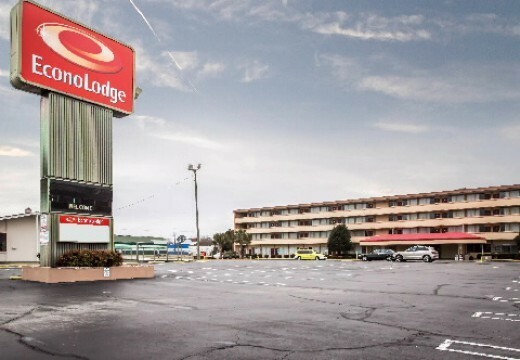 IN THE CASE OF THIS PROPERTY, HOWEVER, WE DO NOT ADVISE KEEPING EITHER THE ECONO LODGE FRANCHISE OR THE CHOICE HOTELS AFFILIATION. Red Lion is a historically western U. S. brand that is expanding aggressively into the eastern United States. They offer some flexibility in the conversion of older properties that may have a few more decades of life left them, and are one of the few Class A brands open to exterior corridor properties. This property will require serious upgrades to function as a Red Lion. But it needs to be repositioned and renovated in its entirety, anyway. 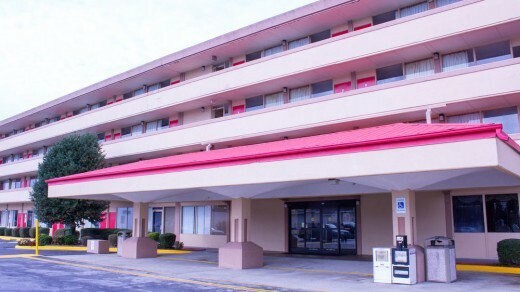 Red Lion's class B GuestHouse Inn and Suites brand is an option, but you probably would not save nearly as much money on renovations, because of the extensive renovations needed; and at any rate the Red Lion brand can better support and make use of this property's potential as a conference center property. It just happens that Red Lion has the flexibility needed to redeem properties like that, and do better by them moving forward. So, as Red Lion expands into the eastern United States, we end up recommending them quite frequently. Red Lion's flexibility in this area offers a tremendous opportunity for many properties up and down the East Coast that can be acquired for comparatively little, and following a renovation, have another twenty years or more worth of life left in them. We have no formal affiliation with Red Lion Hotels Corporation, and stand to receive no compensation or other consideration from the sale of their franchises. I lived in Jacksonville from 1980-1983 (I never served in the Marine Corps or any other branch of the military), and last visited the area in October, 2014. Buy, with a commitment to renovate. Historically, there was a restaurant and lounge on the ground floor, and the space may still be there, but I wouldn't bother with it. I'd knock it out and focus on events instead. There is no way, based on condition and financial performance of this property, that it is worth 3xGRR, but we awarded a bit of a premium for the location and the meeting space (which will be worthless to you unless you're going to fix it up and do something with it). I'd offer them $1,400,000 and see what they do. Someone with a renovation budget and the ability to wait a year or two for positive cash flow. Negative cash flow should not be that much of a problem in the interim once the property reopens, but business is going to have to be built up slowly. The property will probably have to be closed for a period of one to two months to compete the renovations. The renovation budget should be planned for and set aside as part of the acquisition costs. Everybody thinks they're going to buy a hotel in Jacksonville and get rich off the Camp Lejeune Marine base located next to it; and if that's all you want to do, you'll be competing with thirty other area hotels, many of them newer, and all of them thinking that they're going to do that successfully. It's worked so well for this property that they're at 29% occupancy with $53.00 ADR. If you continue running it as an economy property, you're probably not going to exceed that performance, and you're going to have a 49-year-old maintenance monster to feed.